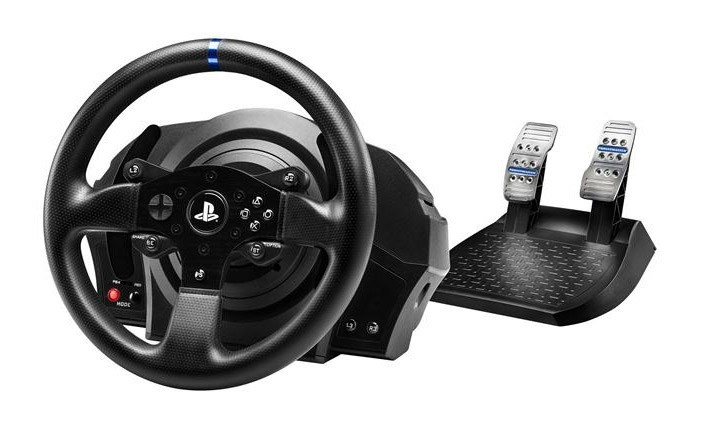 Welcome to the review of the Thrustmaster T300 wheel and pedal set for the PS3 and PS4. 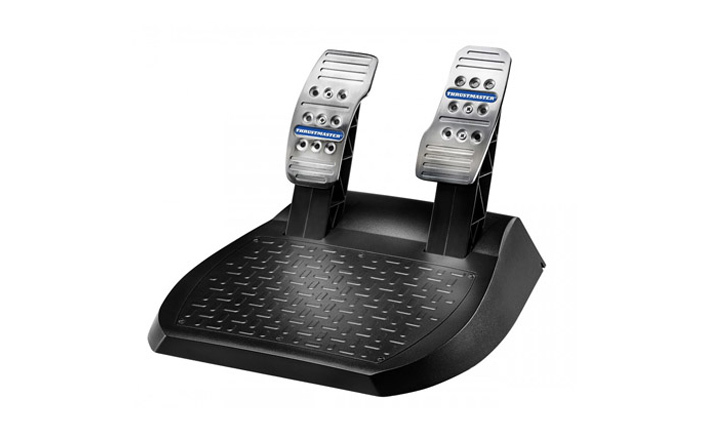 This review will cover the pedals that come with the T300 where as my PC review will be about how the wheel performs only. 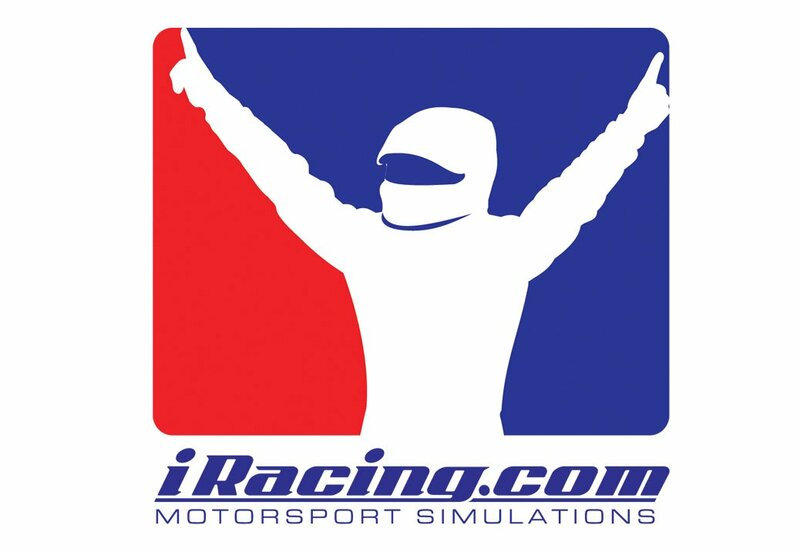 I did all my testing with Gran Turismo 6 and Dirt 3 on the PlayStation 3. 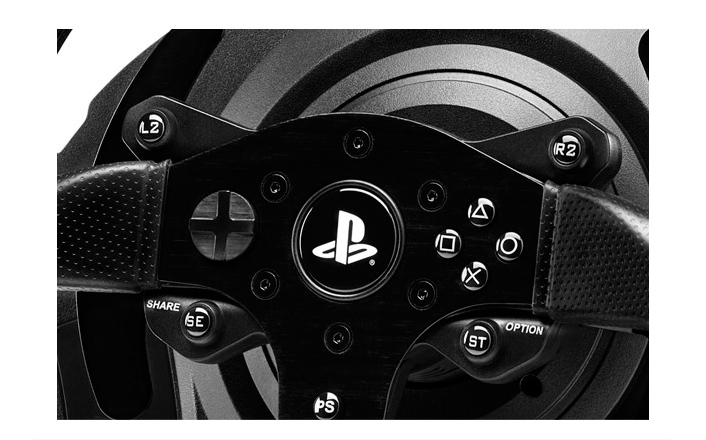 I compared it directly to the Thrustmaster T500 which I usually had to dial back a bit in regards to force feedback strength specifically in Gran Turismo 6. With the T500 I usually ran below 5 out of 10 total in Force Feedback strength. With the Thrustmaster T300 I’ve got it maxed on 10. I have Power Steering off and drive with no assists enabled. In Dirt 3 I pretty much have it maxed out as well. One thing I had mentioned in one of my shows regarding GT6 was that the T500 had more damping or felt heavier than other wheels on the PS3. That is not the case with the T300. 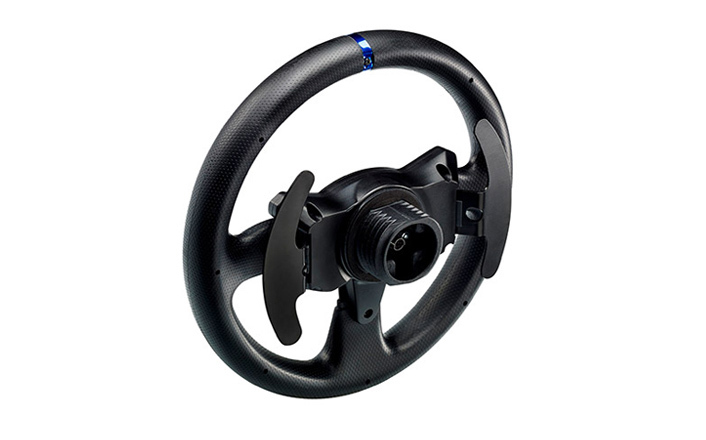 The T300 has a very smooth turning mechanism and I am able to turn the wheel easier when playing Gran Turismo 6 and Dirt 3. 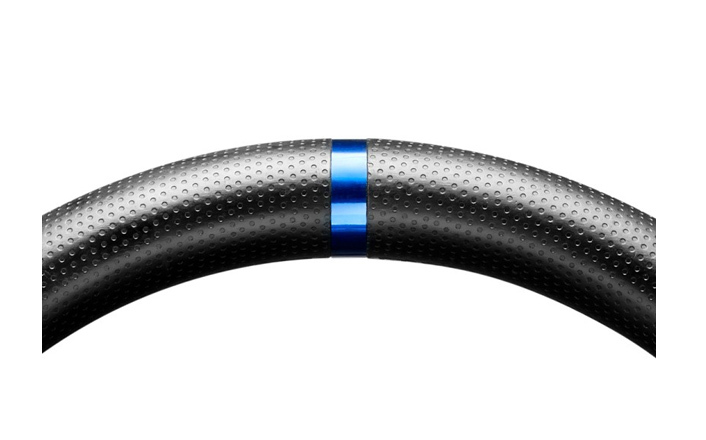 The stock rim or even GTE rim have a very positive solid feeling click on the shifters. One of my favorite paddle shifters on the market. Next I’m going to talk about the adjustable degrees of rotation. Default is at 1080 and you can adjust it in 5 steps down to 270. If you’re not sure how to do that, you press the D pad to the left or right and the mode button at the same time. To the left to go lower, to the right to go higher. If you go to the right while at 1080, it just cycles back to 270. The TX works the same way on the Xbox One and will stay at the rotation you set. It’s not the same on the PS3 with GT6. Every time I start a new event or even pause GT6, I have to re-select that degrees of rotation. For the most part you can keep your rotation at 1080 but for open wheel cars and the karts, I like to go down to 360 or 270 and it was a pain to have to re-do it every time. With Dirt 3, I could set it once and forget it so it was definitely the way GT6 resets the D.O.R. to default. In regard to the cooling fan, some viewers asked me to compare it to the T500 that in all honestly was loud if I had no sound on. With a set of headphones on or a decent speaker system, I never heard it. The T300 has a quiet fan from my use with it and it rarely seemed to get up to full speed on the PS3. On the PC it was a different case but there’s a lot more going on in the force feedback department. 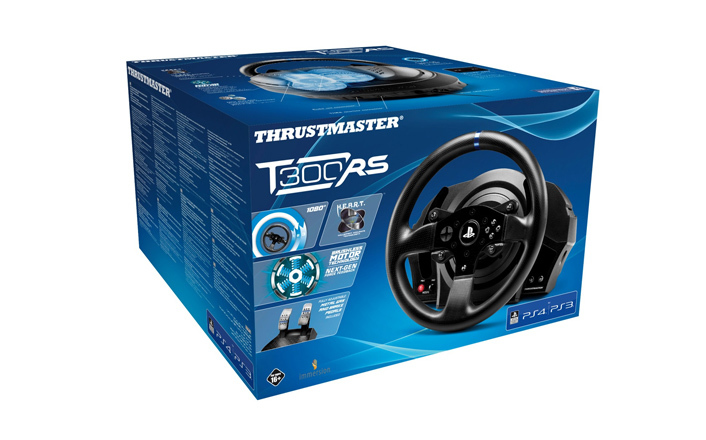 I’ll discuss that in my review of the Thrustmaster T300 on the PC. They have a decent feel and you can adjust the pedal faces, but the brake offers little to no progression and that’s important for hitting your marks consistently. The way these pedals are, you have to remember how far to press to hit your threshold versus using a lot more muscle memory to do that. I mentioned this in my TX review, that it would have been great to have a base to purchase separately, then you can buy your rim of choice and a set of T3PA pedals. If it was like that, a Rim, base and T3PA pedal set would go for about the same price as the T300 complete set. Pedals could have been better with some progression on the brake. I could live without a clutch, but really like a progressive brake. Expensive for a set without a clutch and or gated shifter included. I woud imagine the price will drop in time.